Guys are really hard to shop for, don't you agree? I have 4 possible gift ideas that you can consider when shopping for a guy. I bought this Chill Factor Slushy Maker at FairPrice Xtra. It usually retails at $19.90 but there was a discount on this item when I was there. I've seen this item selling at some Cold Storages as well as FairPrice - not every branch carries it though. 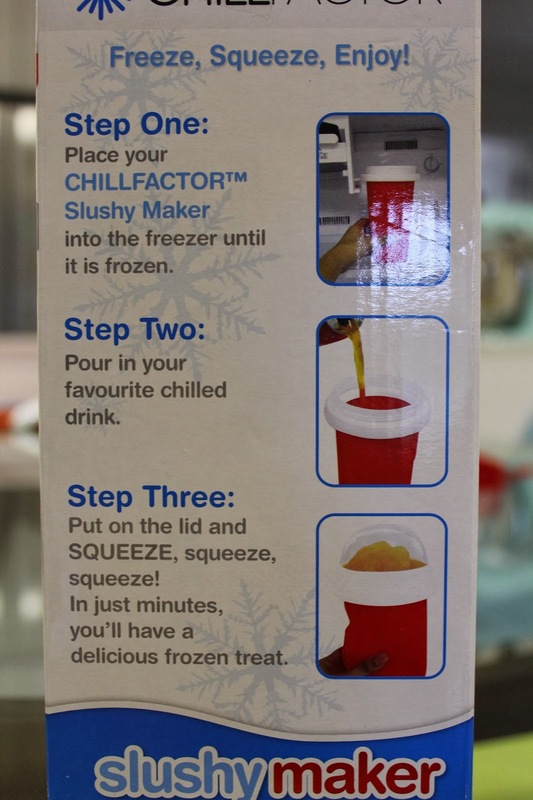 You'll need to store the slushy maker into the freezer until it is frozen before you can use it. Once frozen, pour in a chilled drink and SQUEEZE! 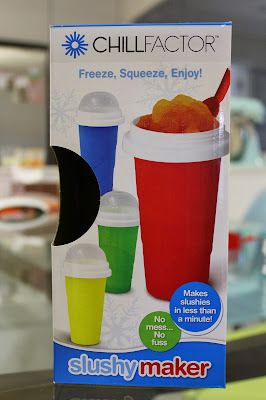 It's really fun and of coz before I could even slushify the entire cup, my hands were already frozen cold! It works better if you use a chilled drink (",) There is a thick liquid filled chamber within the cup and when this surrounding chamber is completely frozen, it works its magic on your chilled drink, turning a boring liquid into slushy! I was REALLY skeptical initially, but the product did not disappoint me! Next up, on the guys' gift list is this SodaStream - 'set the bubbles free' machine. The Hubs and I used to buy bottles of sparkling water to fizz up apple or grape juice; turning the juice into sparkling juice. We hate it that the water becomes flat when we are 3/4 through. 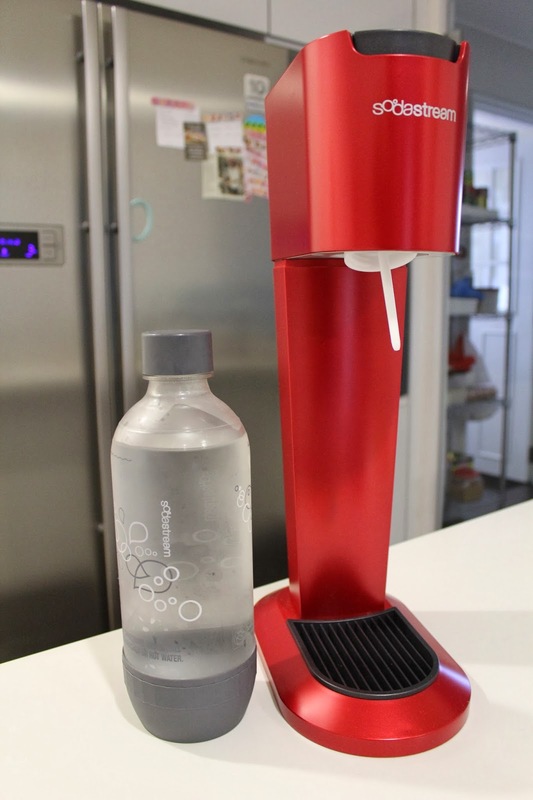 With this SodaStream machine, all you need is a couple of seconds to get yourself a bottle of sparkling water. The bottle is smaller than the store bought sparkling water, so we use up the carbonated water faster, thus there is lesser chance for the water to go flat on us. There is an aluminium carbonator in this system and you should be able to use one carbonator to fizz up 60 - 130 litres of water. "When the gas in the carbonator finishes, consumers exchange the empty carbonators for a full one, paying only the cost of a gas refill." 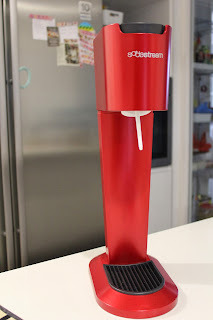 extracted from sodastream.com . This red one costs $168. The other colours, black and white cost $155. I got mine at the Cold Storage at Kallang Leisure Park. It is also available at Tangs VivoCity, Tangs eStore as well as Takashimaya. 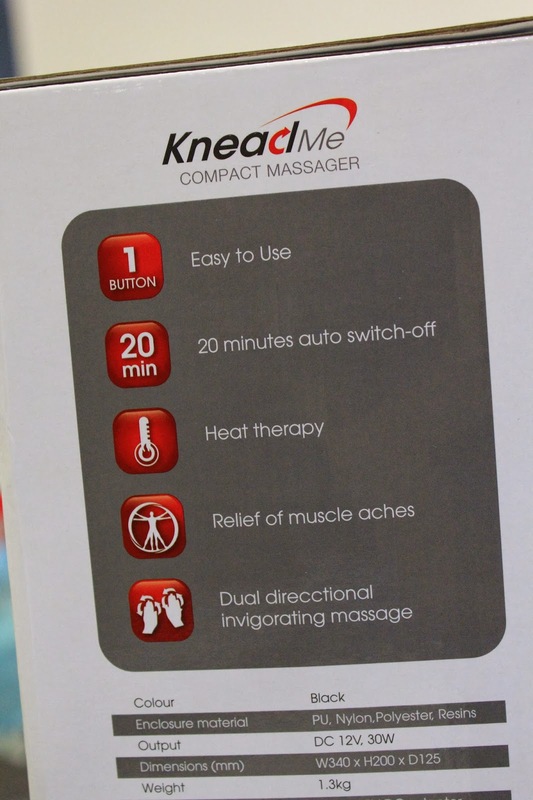 Third on the list is a compact massager. I paid $69.90 for it at Giant Hypermarket at Parkway Parade. Not only is this compact massager small and light, the rollers really kneads deep into your muscles. Soothing away your aches and pains. Did I mention that the rollers heat up too? Such a soothing touch especially for lower backaches.